Watch the entire film for free, thanks to the National Film Board of Canada. 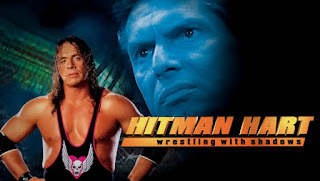 In this feature-length documentary, director Paul Jay was given unprecedented access to the world of Bret Hart and pro wrestling as his camera followed Bret "Hitman" Hart for one year. Going behind the tightly guarded walls of wrestling's spectacle and theatre, the film explores the meaning of today's wrestling morality plays. As fantasy crosses into real life, the true story of Bret Hart's struggle with Vince McMahon, the legendary owner of the WWF, is revealed. 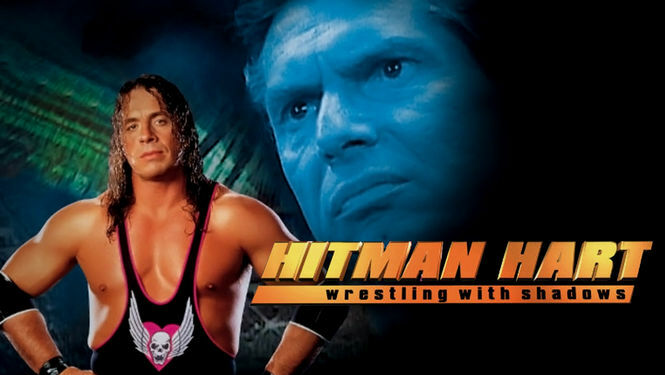 Hitman Hart: Wrestling with Shadows climaxes with the tale of the biggest double-cross in pro wrestling.